Gerbera daisies, also known as African, Barberton and transvaal daisies, are perennial flowering plants that grow as annuals and indoor plants in cooler climates. Gerbera daisies produce large saucer-shaped and brightly hued blooms atop tall, slim, velvety green stems. They require large amounts of bright sunlight and prefer temperatures between 45 and 70 degrees Fahrenheit. Winter care is basic for both the indoor and outdoor grown plants. Plant or place your gerbera in a location with at least 6 to 8 hours of sun or dappled shade each day during the winter. If grown indoors place in a location where the plant receives 6 to 8 hours of indirect sunlight or the equivalent in artificial light each day. Choose a location that give the gerberas their ideal daily temperatures of 70 degrees during the day and 45 degrees overnight. Water your gerberas to keep the soil evenly moist during their blooming period. When not blooming allow the soil to dry out ever so slightly between waterings to prevent crown rot. Mist gerbera foliage with tepid water if grown indoors with artificial heating to provide some atmospheric humidity for the plant. Fertilize gerbera daisies with a high-quality liquid indoor plant fertilizer for flowering plants such as MircacleGro or Schultz's. Apply once a month during the active growing season according to the package directions over soil that has been watered to prevent burn to the roots. 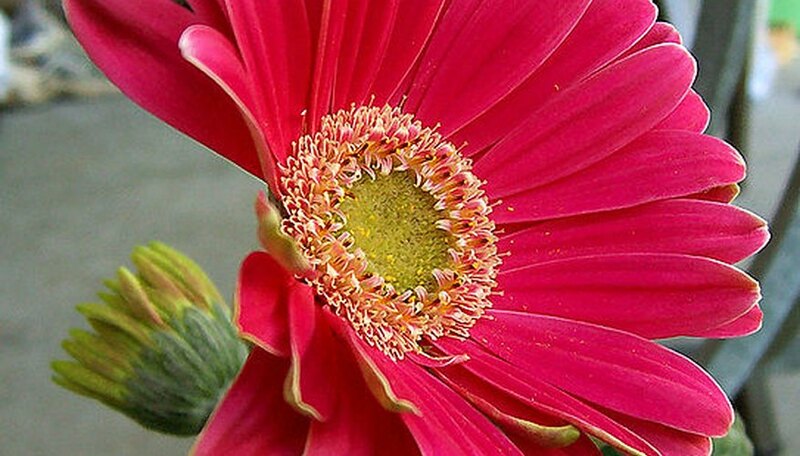 Cut back gerbera blooms at the base of their stems for use as cut flowers or as the blooms fade. Prune away any damaged or diseased foliage by nipping the leaves off near the stem and discarding.